Well, life is better. My tumor is shrinking, but my hormones are flooding into my body. I spend days exhausted because progesterone is high that day. Of course yesterday was not helped by my headache. I had a massive headache and I was worried that I was getting a migraine. I took four pills from a bottle I saw with Advil on it. 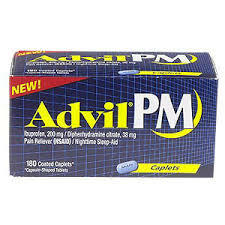 Once I took the pills, I saw the PM on the bottle. I slept from 2pm to 7am this morning. I occasionally woke up to get kids or tell Kevin that I am too tired to live. I had huge jet lag today. I just want to sleep but Kevin has a dental meeting tonight so I can’t fall asleep until I get my eyebrows waxed tonight. I find it very relaxing to have boiling wax poured on my face, waiting for it to cool and then having it ripped off. Hopefully the kids will be in bed when I get home and I get go back to bed. After the tired stretches of time, I cry. I love hormones. I don’t know how men live without massive surges and recessions of them. I’ve been watching HOUSE and so I’m learning a lot about medicine. I think by the end of this season, I may have a cure for cancer or at least my tumor.